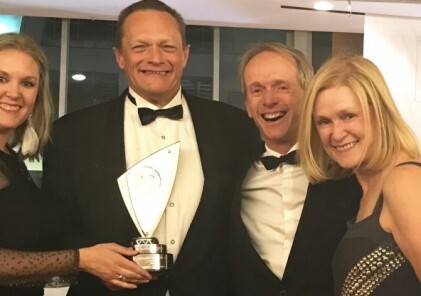 I am delighted and proud to announce that at the prestigious Sports Industry awards function last Thursday night, parkrun won the trophy for the best “participation event”. This is a singular honour and parkrun beat some very worthy nominees for the award. At the black tie function Gill and I received the award on stage in front of hundreds of guests. However, I was able to say a few words and emphasise that this award was for every parkrunner and volunteer in South Africa. We received the award but it is our achievement. It belongs to all of us. No one will forget the cold, wet and miserable conditions that blasted inland South Africa two Saturdays ago. Lots of parkrunners posted pictures of snow and hail. We had our lowest turnout (just under 17,000 parkrunners) since 2015. 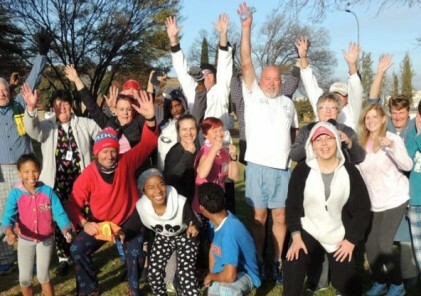 However, the cold and wet conditions did not dampen the spirits of the Welkom parkrunners. They were determined to celebrate their inaugural parkrun in style and a crowd of 300 parkrunners and volunteers arrived to celebrate the inaugural run. The Welkom parkrun course is run around the sports fields of St. Dominic’s College and is fast, fun and flat. Congratulations to all the volunteers and runners at Welkom. I have no doubt that this parkrun will prove to be very popular with the Welkom community. Last Saturday Heidedal parkrun became the third Bloemfontein parkrun. 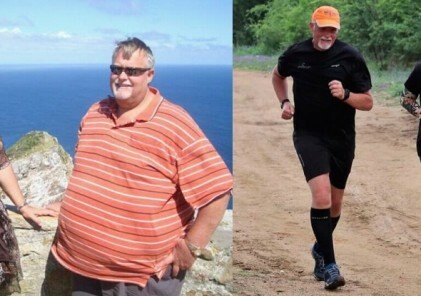 We welcome Edwin and Sylvester and the whole team to the SA parkrun family. There was such a cheerful atmosphere at the launch with loud music and free coffee to welcome runners. About 200 runners and volunteers celebrated the first run on a largely flat but challenging route. 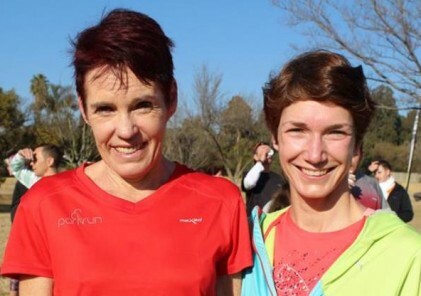 A special touch came at the start of the parkrun when runners from the other Bloemfontein parkruns, Naval Hill and Langenhoven Park, ran in carrying messages of support and good luck for Heidedal. They may have started something of a tradition. Finally I would like to wish all those parkrunners running this year’s Comrades marathon the best of luck on Sunday 4 June. I am sure that North Beach parkrun and the other KZN parkruns could have record fields on Saturday 3 June as parkrunners from around the world gather to “tick” a Durban parkrun.